An interview is a conversation where questions are asked and answers are given. 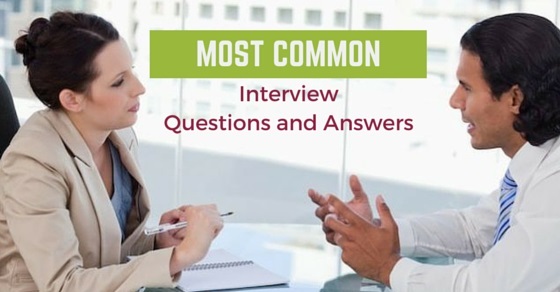 In common parlance, the word “interview” refers to a one-on-one conversation with one person acting in the role of the interviewer and the other in the role of the interviewee. The interview is the most necessary step for the seeking of any job or goal. Landing an interview is never enough. You need to go beyond the usual to impress you potential employer and grab the job. Here we are providing the most common question asked in the interviews with answers related to every field. It is the first and most common questioned which is answered in every interview. Say something about you means that introduce yourself. In the reply of question you should answered with the smile face. You should tell the name, your academics record, work history and job experience. Don’t show your weakness like smoking, drinking and careless behavior. This is asked from those persons, who have been working from the other firms. In the answer you should describe the positive cause for the leaving of job, such as an opportunity, a chance to do something special or other forward-looking reasons. This will beneficial for you. This question is one reason to do some research on the organization before the interview. Find out where they have been and where they are going. What are the current issues and who are the major players? This will help you to impress the audience. In the answer of this question you have to prescribe your abilities. You may tell your positive points like your problem-solving skills, ability of work under pressure, ability of work in the tough environment, your ability to focus on projects, your professional skills with high qualification or certification, and your skills to lead a group or your positive attitude towards work. You have to say yes, of course, I am a team player. Show them numerous numbers of examples about your team work in different situations. Do not show off, be factual and don’t show the bad impact. This is the difficult question and be ware while you are answering this question. When you’re asked what your greatest weakness is there are several different ways you can answer. Analyze the key skills and strengths required for the position you are interviewing for and then come up with an honest shortcoming which is not essential for success in that job. You should answer of this question if this is asked or at the end of the interview. If you answer it first you may lose this opportunity. Never answer this first in your interview. Rather than answer like it all depends upon the responsibilities or details of job. After this give your range but not fixed one. For this always have some positive questions prepared. Questions prepared where you will be an asset to the organization are good. How soon will I be able to be productive? What type of projects will I be able to assist on?. This will show your interest in the organization.